Those words became famous in my mind and in my household before I ever picked up an old-school "Star Trek" movie. You have to remember that I was born in 1989, I was a kid of the 1990's. So I missed the classic "Star Trek" era, and I had "The Next Generation" and "Deep Space Nine." Those were my earliest memories of "Star Trek." It was that generation of movies that felt like "Star Trek" to me, getting to know Data and Jean Luc-Picard and the rest of that generation's crew was the team I felt assembled with. Yet, through it all, it seemed like I always knew who Spock was. Spock was like an out-of-this-world legend to me growing up. My parents and brother would talk about him like he was a reigning myth. I may not have got the chance to experience Spock growing up, like so many other Trekkies, but I always felt something special by the quote "Live Long and Prosper" and I have always tried to live by those words, like a guideline. I hope that all Trekkies are united in celebration that even though Spock may not be with us anymore, at 83 years old, he lived long and he certainly prospered. It maybe hard to think about Leonard Nimoy's career and not thinking of anything Star Trek related. Yes, Nimoy was a major Trekkie, he appeared in the 2009 reboot for crying out loud. That was Nimoy's bread and butter. But to think he didn't do anything else with his career is a bit blasphemous. Who can forget his voice work as Sentinel Prime in "Transformers: The Dark of the Moon." Or who remembers "The Pagemaster?" An old family film from 1994? Nimoy did the voice for Dr. Jekyll and Mr. Hyde for that movie. He did television. He lent his voice for video games. 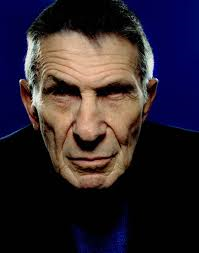 I think the most crushing part of Nimoy's passing is that he really felt like one of his. He loved movies, and TV and video games just as much as the other nerd. The way he talked, the way he beamed in excitement by fans, he felt like he was one of us. He knew the character he created was larger than life, and it seemed like he would not have it any other way. It definitely feels like anything "Star Trek" related will never feel the same again. We lost one of the all time greats. We lost somebody who helped define an entire counter culture of nerd. Without the help of Nimoy, I don't think "Star Trek" would have lasted as long as it did. He certainly helped me recapture the love I had for the television shows that felt like appointment TV growing up. I remember spending a good chunk of my childhood trying to master the iconic hand signal Spock would make right before delivering his legendary words. Now, that I have mastered the signal, I hope we all live long and prosper, because Nimoy would not have it any other way.